For other uses, see Belem (disambiguation). From the top, clockwise: Our Lady of Grace Cathedral; Ver-o-Peso Market; Victoria amazonica at the Museu Paraense Emílio Goeldi; view of the city; Forte do Presépio and Theater of Peace. "City of Mango Trees", "Metropolis of Amazon". Belém (Brazilian Portuguese: [beˈlẽj]; Portuguese for Bethlehem), is a Brazilian city with 2,491,052 people residing in its Metropolitan Region. The capital city itself has 1,485.732 inhabitants (for more details on its population see in Demographics below). It is the capital and largest city of the state of Pará in the country's north. It is the gateway to the Amazon River with a busy port, airport, and bus/coach station. Belém lies approximately 100 km upriver from the Atlantic Ocean, on the Pará River, which is part of the greater Amazon River system, separated from the larger part of the Amazon delta by Ilha de Marajó (Marajo Island). With an estimated population of 1,439,561 people — or 2,249,405, considering its metropolitan area — it is the 11th most populous city in Brazil, as well as the 16th by economic relevance. It is the second largest in the North Region, second only to Manaus, in the state of Amazonas. Belém is also known as the Metropolis of the Brazilian Amazon region or the Cidade das Mangueiras (City of Mango Trees) due to the vast number of those trees found in the city. Brazilians often refer to the city as Belém do Pará ("Belém of Pará") rather than just Belém, a reference to an earlier name for the city, Santa Maria de Belém do Grão Pará, and also to differentiate it from a number of other towns called Belém in Brazil, as well as the Palestinian city of Bethlehem. It is named after Santa Maria de Belém in Lisbon, also better known by its shortened name, Belém. Belém is served by two airports: Val de Cães International Airport, which connects the city with the rest of Brazil and other cities in South America, North America (USA) and Europe (Lisbon) and Brig. Protásio de Oliveira Airport (formerly called Júlio César Airport) dedicated to general aviation. The city is also home to the Federal University of Pará and the Pará State University. The name Belém is the Portuguese word for Bethlehem, the town where Christians believe Jesus Christ was born. The city had other names before eventually becoming Belém. Belém, 1910s. National Archives of Brazil. On January 12, 1616, he anchored in what is now known as Guajará Bay, formed by the confluence of the Para and Guama Rivers, called by the Tupinambás, "Guaçu Paraná". Caldeira mistook the bay for the main channel, and thirty leagues (178 km) upstream, he built a wooden fort, covered with straw, which he called "Presépio" (nativity scene), now known as"Forte do Castelo". The colony formed by the fort was given the name Feliz Lusitânia, "Happy Lusitania". It was the embryo of the future city of Belém. The fort failed to suppress Dutch and French trading, but did ward off colonization. Belém, 1975. National Archives of Brazil. The sugar trade in the Belém region was important up to the end of the 17th century. Thereafter the city's economic importance alternately rose and fell. Cattle ranching supplanted sugar until the 18th century, when cultivation of rice, cotton and coffee became profitable. With the settlement of southern Brazil, where such crops could be produced more efficiently, Belém declined again. The city subsequently became the main exporting centre of the Amazon rubber industry, and by 1866 its position was further enhanced by the opening of the Amazon, Tocantins and Tapajós rivers to navigation. The rubber era ended after the boom of 1910–12, but Belém continued to be the main commercial centre of northern Brazil and the entrepôt for the Amazon valley. Belém has a tropical rainforest climate (Köppen: Af) more subject to the Intertropical Convergence Zone than the maritime trade winds, and with no cyclones, that is a true equatorial climate. In all 12 months of the year, the city on average sees more than 60 mm of rainfall, so the city has no true dry season month. However, Belém features noticeably wetter and drier seasons. The wetter season spans from December through May, while the drier season covers the remaining six months of the year. Like many cities with a tropical rainforest climate, average temperatures vary little throughout the course of the year, generally hovering around 26.5 degrees Celsius. As one would expect, tropical rainforest is the natural vegetation in and around the city. Many valuable products now exported from the Amazon by way of Belém are aluminium, iron ore, and other metals., nuts (chiefly Brazil nuts), pineapples, cassava, jute, wood veneers, and hardwoods. Japanese immigration after the 1930s was an important factor in developing jute and black pepper, notably at Tomé-Açu, just south of Belém, and near Santarém. Marajó Island, the largest fluvial island in the world, which lies just across the Rio Pará from Belém, has some livestock grazing. Electricity is provided by the massive Tucuruí Dam, some 300 km southwest of the city on the Tocantins River. According to the IBGE of 2018, there were 2,491,052 people residing in the Metropolitan Region of Belém. 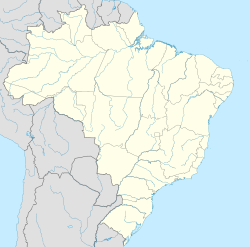 This region is composed by 7 cities: Belém (1,485.732 people), Ananindeua (525,566 people), Marituba (129,321 people), Benevides (61,689 people), Santa Bárbara do Pará (20,704 people), Santa Izabel do Pará (69,746 people), and Castanhal (198,294 people). In 2012, according to IBGE, the capitalcity itself had a population density of 1,337.2 inhabitants per square kilometre (3,463/sq mi). The last PNAD (National Research for Sample of Domiciles) census revealed the following numbers: 1,379,655 Pardo (brown) people (64.5%), 588,225 White (27.5%), 156,147 Black (7.3%), 14,973 Asian or Amerindian people (0.7%). The festivities last 15 days, with religious celebrations, like the Children's Círio, and its procession, held two Sundays after the Círio. The Re-Círio marks the end of the celebrations, with a shorter course back to the Gentil Bittencourt chapel. The local Amerindian culture makes use of local elements to create the colors and flavors of its cuisine. One such dish, "Cupuaçu", comes from the Cupuaçu tree, found in the Amazonian woods. Cupuaçu is easily identified by its unique smell and sour taste. Its pulp is also extracted to make juices, candies, jellies, liquors, and ice cream. Açaí is a palm tree with a long, thin stem. Açaí, also known as Jussara, is purple in color with a delicious taste. Long prized by the local population, it recently it has also reached the national menu. Freshwater crab, a traditional local delicacy, is popular. Found only in swamps, its well-tempered meat can be served in different forms: as a shell, the so-called unha (the claws) or toc-toc. "Maniçoba" is another highlight of local cuisine. Its preparation is time-consuming and its final appearance is quite surprising for those who have never tried it, due to the dark look of the cooked maniva (ground manioc leaves). But this first impression ends quickly, after you taste the dish with its seemingly awkward ingredients. Maniçoba is often served in ceramic dishes, and can be eaten with rice or with manioc flour and capsicum. Belém has been part of the UNESCO Creative Cities Network in the category of gastronomy since 2015. Estádio Olímpico do Pará in Belém. The three main football teams in Pará are based in Belém: Remo, Paysandu and Tuna Luso. The Estádio Olímpico do Pará is the biggest in the city and hosts 45,000 spectators, the stadium hosts the Grande Premio Brasil de Atletismo, that is part of the IAAF World Challenge. Bioparque The Amazon is a private investment, owner Jorge Arthur Aarão Monteiro, authorized and licensed by IBAMA to function as C class zoo, the only category of Pará There are four different species of alligators in a population of thousands of individuals, highlighting açu for alligator, monkeys, anteaters, and the otters, hyacinth macaw, papagaios, tucannos, pacaranas, harpy eagle, among other animals. Also see the city turistic website here. Created in 1688, as a result of the Portuguese deciding to levy a tax for everything entering and leaving Amazonia. Despite resembling a large retailer, the mixture of colours, fragrances and objects is very interesting as well as folkloric[clarification needed]. The city of Belem seen from the River Guama. ^ The European Portuguese pronunciation is [bɨˈlɐ̃j]. ^ "Clima". www.cnpf.embrapa.br. Retrieved 2019-03-30. ^ Mota, Maria Aurora Santos da; Tavares, João Paulo Nardin (July 2012). "Condições termodinâmicas de eventos de precipitação extrema em Belém-PA durante a estação chuvosa". Revista Brasileira de Meteorologia. 27 (2): 207–218. doi:10.1590/S0102-77862012000200007. ISSN 0102-7786. ^ "Temperatura Média Compensada (°C)" (in Portuguese). Brazilian National Institute of Meteorology. 1961–1990. Archived from the original on May 5, 2014. Retrieved August 19, 2014. ^ "Temperatura Máxima (°C)" (in Portuguese). Brazilian National Institute of Meteorology. 1961–1990. Archived from the original on May 5, 2014. Retrieved August 19, 2014. ^ "Temperatura Mínima (°C)" (in Portuguese). Brazilian National Institute of Meteorology. 1961–1990. Archived from the original on May 5, 2014. Retrieved August 19, 2014. 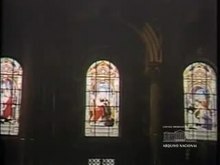 ^ "Precipitação Acumulada Mensal e Anual (mm)" (in Portuguese). Brazilian National Institute of Meteorology. 1961–1990. Archived from the original on May 5, 2014. Retrieved August 19, 2014. ^ "Número de Dias com Precipitação Mayor ou Igual a 1 mm (dias)". Brazilian National Institute of Meteorology. Archived from the original on May 5, 2014. Retrieved August 19, 2014. ^ "Insolação Total (horas)". Brazilian National Institute of Meteorology. Archived from the original on May 5, 2014. Retrieved August 19, 2014. ^ "Umidade Relativa do Ar Média Compensada (%)". Brazilian National Institute of Meteorology. Archived from the original on May 5, 2014. Retrieved August 19, 2014. ^ Síntese de Indicadores Sociais 2008 (PDF) (in Portuguese). Belém, Brazil: IBGE. 2008. ISBN 85-240-3919-1. Archived from the original (PDF) on 2012-07-10. Retrieved 2009-01-31. ^ "Belém, Salvador and Santos join the UNESCO Creative Cities Network". www.unesco.org. United Nations Educational, Scientific and Cultural Organization. Retrieved 2018-10-03. ^ "Amazon Biopark Zoo (Bioparque Amazônia)". Archived from the original on 2009-02-07. Retrieved 2009-01-31. ^ "Ilha de Mosqueiro". Facebook. Retrieved September 16, 2014.